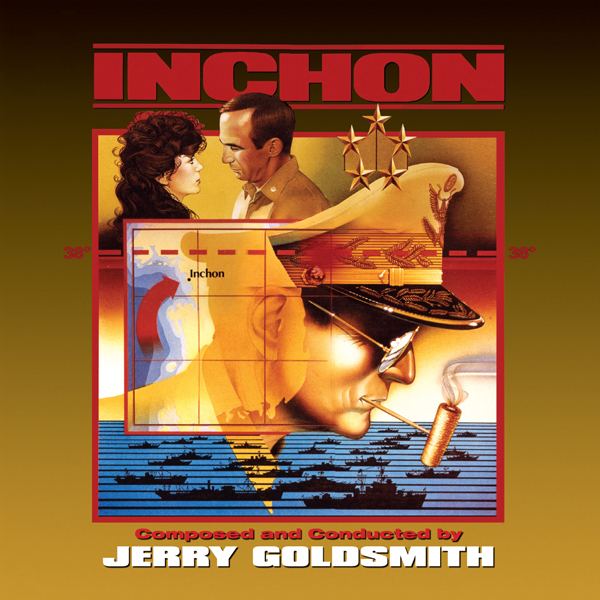 One of Intrada's fastest selling Special Collection titles was Jerry Goldsmith's exotic war score to the 1982 film Inchon. Out of print for seven years, Intrada has reissued its 2-CD set, giving a new audience the chance to experience this early '80s effort packed with action, romance and the exotic sound of the east. This set features the original LP presentation as Goldsmith had initially presented his score, plus a second disc featuring the score in chronological order. The film may be forgotten, but what lives on is Jerry Goldsmith's dynamic, colorful and percussive score. The score features an augmented percussion section, including snares, bass drum, cymbals, tympani, triangle, xylophone, woodblocks, boo bams, and many others. At the time of the film's release, Goldsmith had artfully assembled a 38-minute album capturing the highlights and delivering an irresistible listening experience. In 1988, Intrada released an expanded edition that featured the complete score, without all the unique assembly of the LP. Now you can listen to both on this unlimited release. The 1982 epic chronicles the massive force invasion of Southern Korea led by General Douglas MacArthur. The film had all the right ingredients: a cast that included Ben Gazzara, Jacqueline Bisset, and none other than Sir Laurence Olivier in the role of MacArthur; James Bond veteran director Terence Young at the helm; and a world class composer -- the unequaled Jerry Goldsmith, who gave the film its spirit. Nonetheless, the production was plagued with both natural and man-made troubles, resulting in a film that cost over $44M, was cut from its original 140-minute length to 105 minutes when it went into "wide" release in September 1982, closed relatively quickly, and fell into obscurity. Just Announced! I know I missed this score, I am thrilled to be able to add it to my collection!